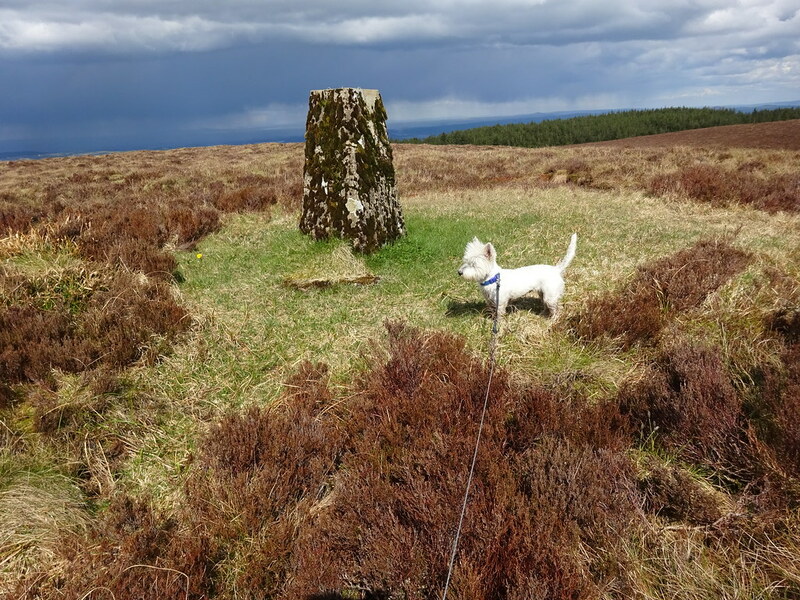 Tommy McGibney explores some interesting mountain and hilltop Trig Pillars across the province of Ulster. 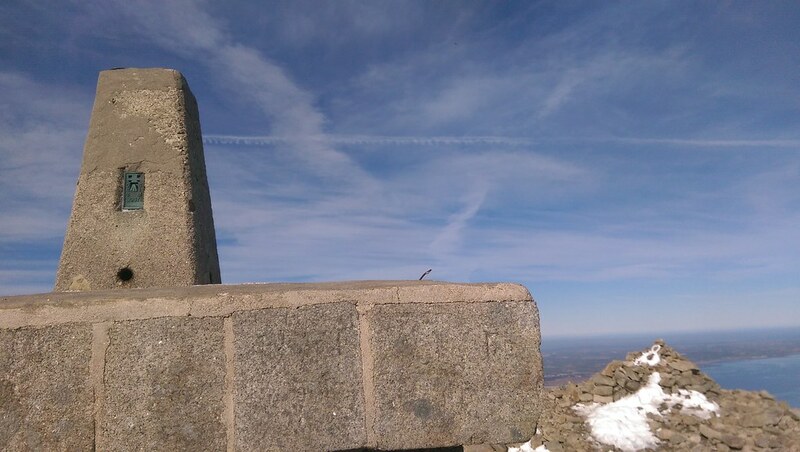 The Trig Pillar at the summit of Slieve Croob (534m), Co. Down enjoys a grandstand view of the Mournes. The mountain is the high point of the Dromara Hills and is easily accessible by a pleasant and very popular tarred road. 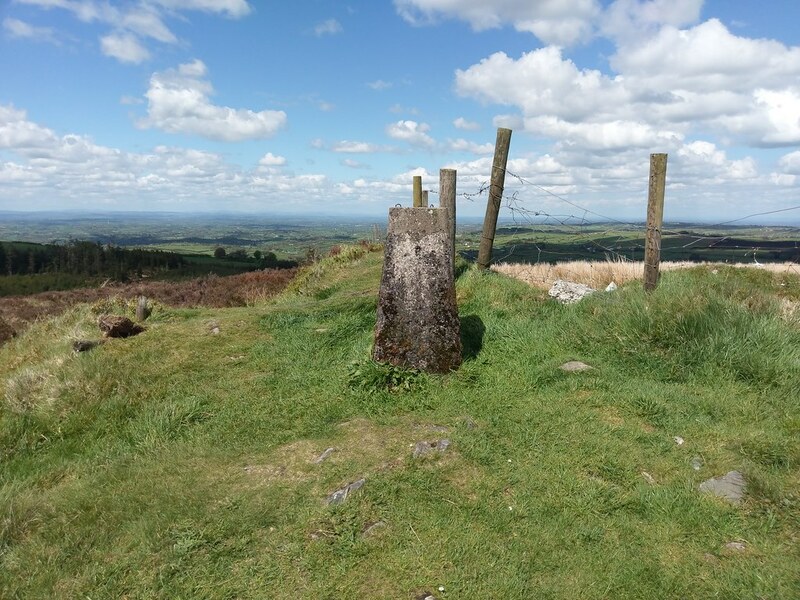 The Trig Pillar on the peak of Loughanleagh (339m) an area of prominent high ground located in Cavan’s drumlin country between the towns of Bailieborough and Kingscourt. 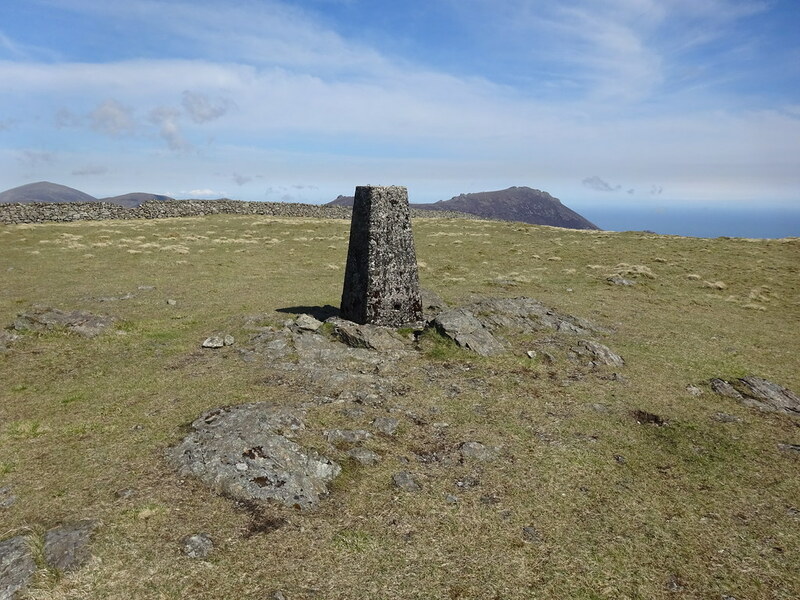 Mounted on the north-eastern corner of the Mourne Wall, Slieve Donard‘s (850m) Trig Pillar overlooks the summit cairn and Dundrum Bay. More of a hill than a mountain, the generously named Topped Mountain (277m) stands a few miles northwest of Enniskillen. 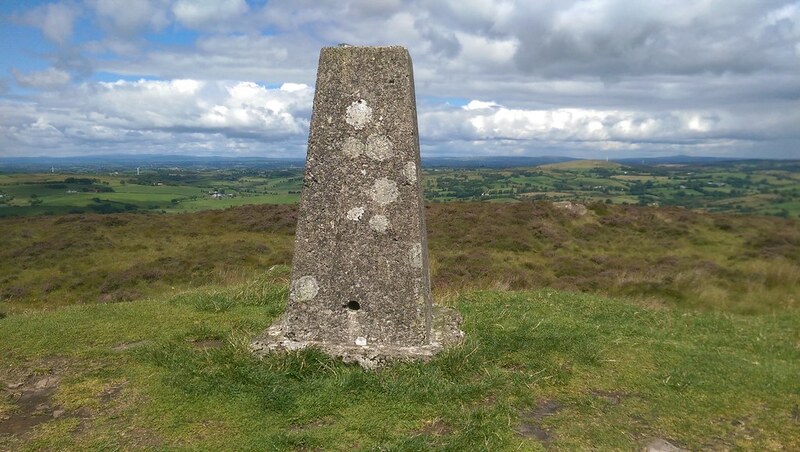 Its tall Trig Pillar overlooks scenic rolling hills of Fermanagh and South Tyrone. 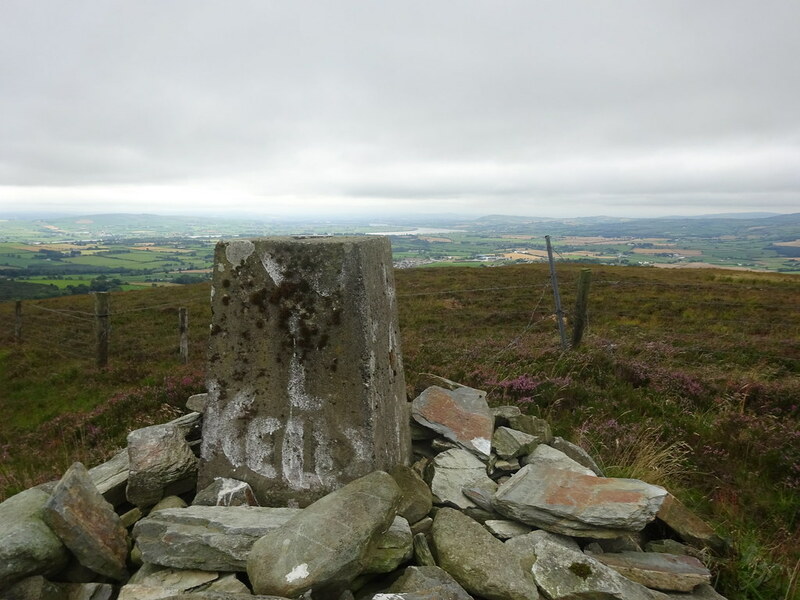 The Trig Pillar denoting the summit of Carrigatuke (365m), the high point of a mostly wooded area roughly equidistant from Keady and Newtownhamilton, Co. Armagh. 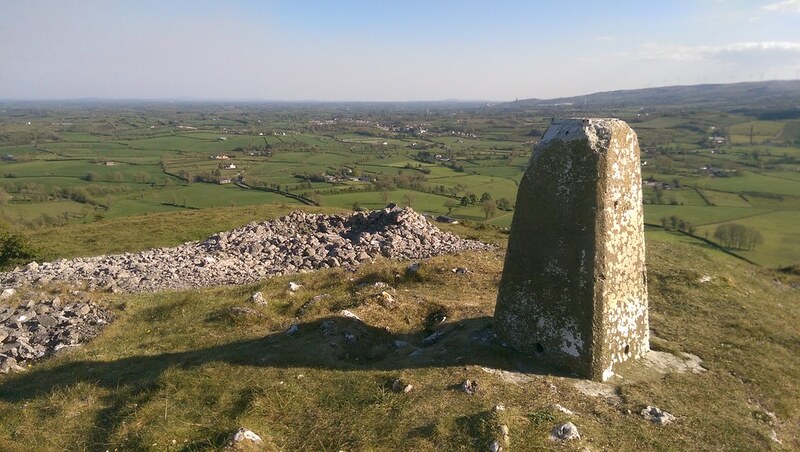 The summit Trig Pillar on Belmore Mountain (398m), Co. Fermanagh, a rugged and boggy peak southwest of Enniskillen, overlooking scenic Lough MacNean. The famous Pollnagollum Cave is a few km away. 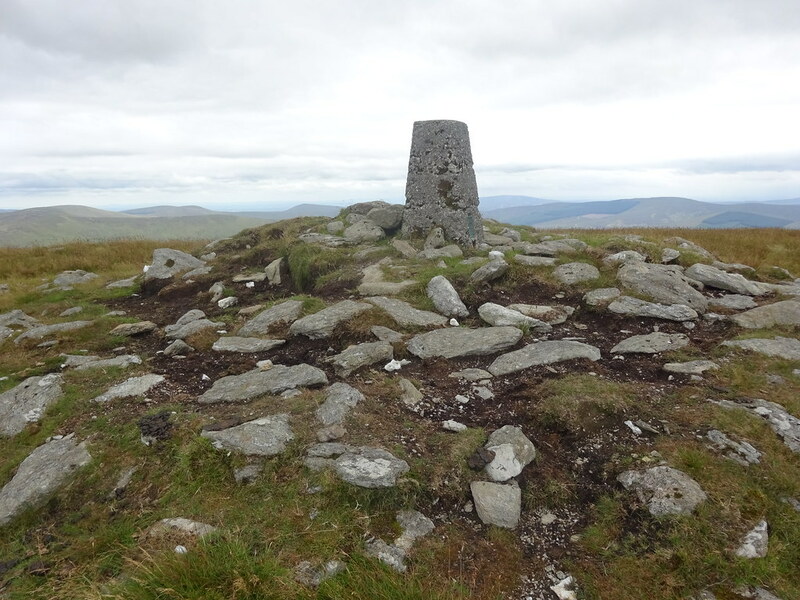 Sawel (678m) is both the shared County High Point of Tyrone and Derry and the summit of the Sperrin mountain range. 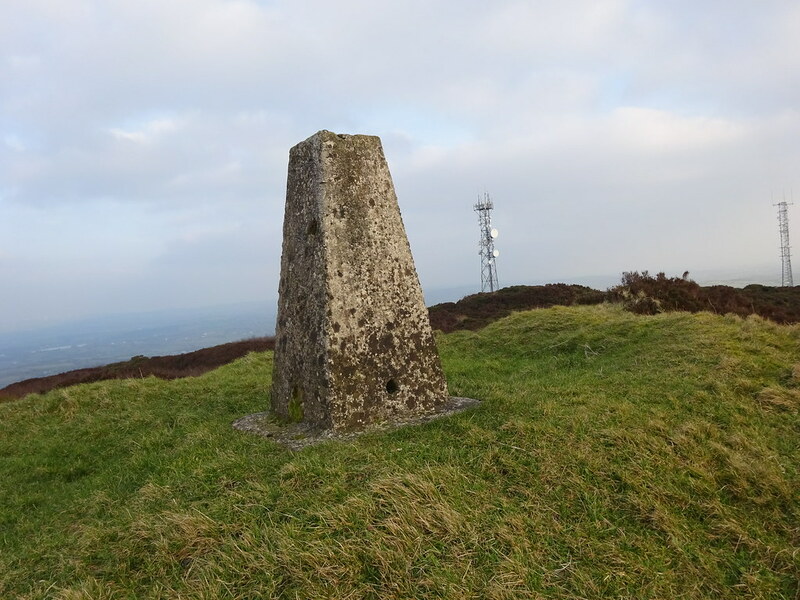 Slieve Glah (320m) enjoys a prominent location a few miles south of Cavan town, near the village of Crosskeys. 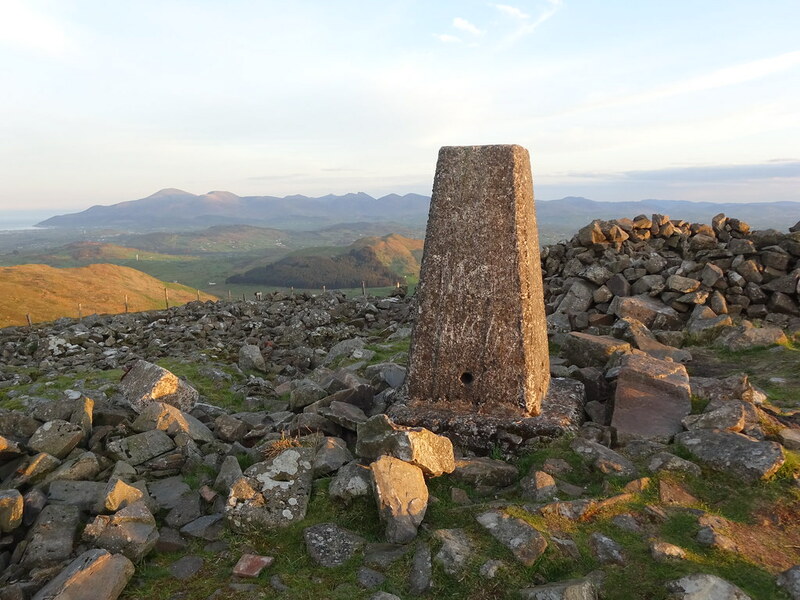 The Trig Pillar on its peak affords lovely views of the surrounding area. The summit Trig Pillar on Holywell Hill (260m), Co. Donegal, a short distance from the city of Derry. An RTE transmission mast stands nearby, at the top of the hill. 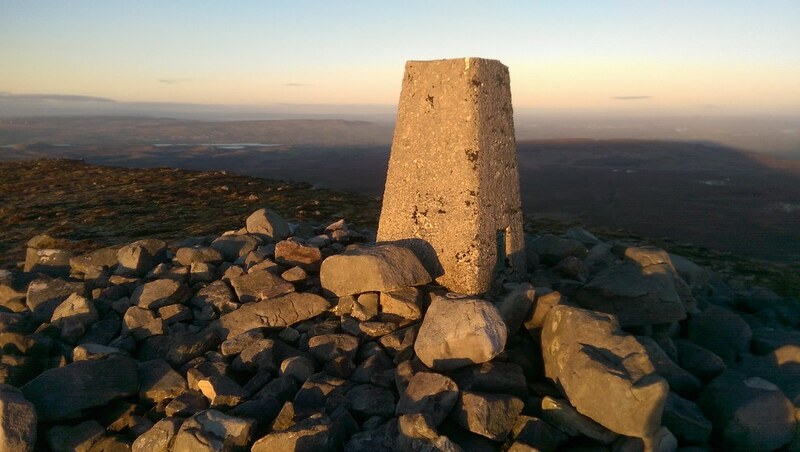 A winter sunset on the summit Trig Pillar of Cuilcagh (665m), the shared County High Point of Cavan and Fermanagh. 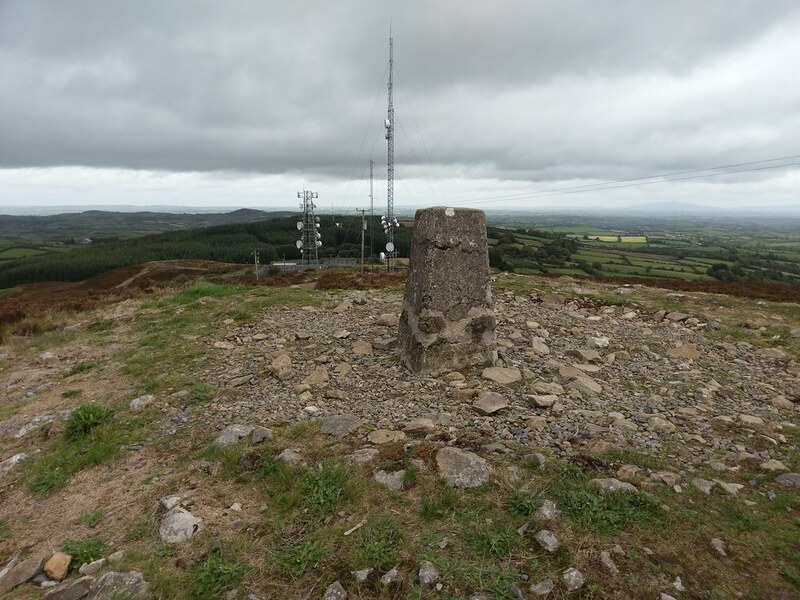 Slieve Gullion (573m), the County High Point of Armagh, boasts one of Ireland’s most scenic summits. Its Trig Pillar stands on a huge stone cairn, over a burial chamber accessible via a side passageway. The shorter stone pillar to its left points to various features visible on the surrounding landscape. 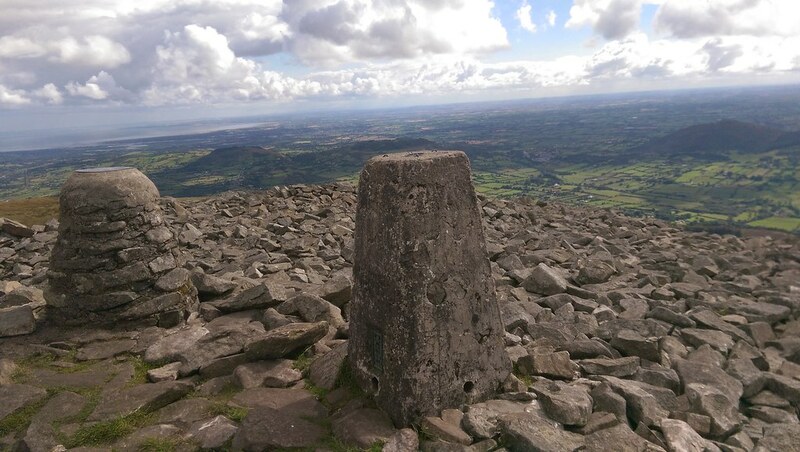 The summit of Cairngaver (217m), just outside Bangor, Co. Down, offers on a clear day exciting views of Scotland, Ailsa Craig, the Mournes, Strangford Lough and Scrabo Tower. 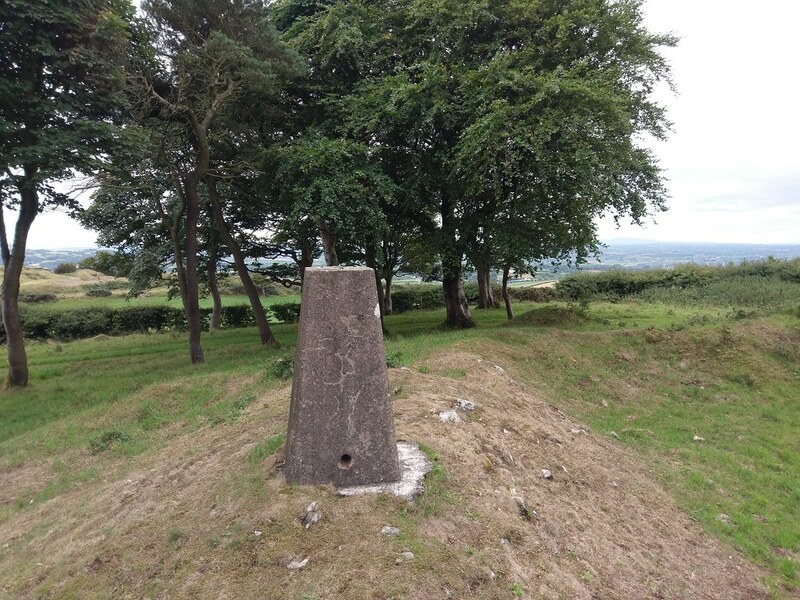 The summit Trig Pillar at Knockninny Hill (191m), a short distance from Derrylin, Co. Fermanagh, and close to the southern shores of Upper Lough Erne. Slieve Muck (670m) may not attract the same crowds as its neighbour Slieve Donard but it remains one of the highlights of the Mournes and is well worth a visit in its own right.